Within the Philadelphia metropolitan area lies a planned community that helped to define the face of the suburban dream—Levittown, PA. Today, nearly 53,000 people live in this census-designated place, and there are 41 neighborhoods, also called “sections”, that make up the community. The history of Levittown began in the 1950s, as residents of growing cities looked to the outskirts of town to find the ideal mix of urban convenience and small-town living. Seeing the opportunity, Levitt & Sons purchased 5,650 acres of land in 1951 with the idea of building the perfect suburban community. Levittown, PA was the second “Levittown” created by Levitt & Sons, with the first being in Long Island. The Pennsylvania community was meticulously planned to include six options for houses, perfectly coordinated streets, and all of the amenities that a suburban family could want in their community, including swimming pools, churches, public schools, baseball fields, and shopping centers. Although the “why” of Levittown was in response to the booming suburban migration, the “how” of Levittown being built is something that has set the community apart since its conception. Using an assembly-line approach, the timeline for completion was impressive! Levitt & Sons completed nearly 4,000 houses in the first year of construction, and when that final slab was put down, it was for house #17,311—which means that their crew produced a finished house every 16 minutes! Levittown has seen its ups and downs over the decades, but today, it remains a quiet residential community that paints a picture of the American dream. However, just because the modern-day planned community saw its official start in the 1950s doesn’t mean that remnants of the past aren’t found throughout the area! The most notable example of this is the Phineas Pemberton House, also called the Bolton Mansion, which was originally built in 1687 and was modified through 1790. This two-story fieldstone mansion was built in classic English style by Phineas Pemberton who was originally from Bouton, Lancashire. 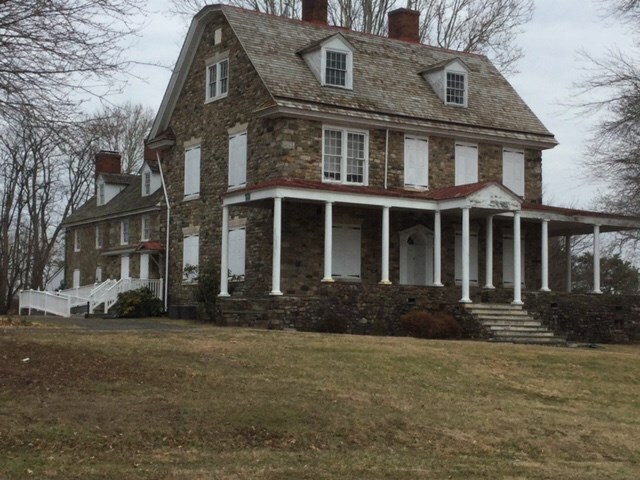 Today, Bolton Mansion is being restored and operates as a museum after its addition to the National Register of Historic Places in 1971, and it is owned by the Friends of Bolton Mansion. With its well-manicured properties and convenient location, those who call Levittown home still enjoy all of the benefits that created the dream of the community in the first place. When you’re moving in or out of Levittown, you want professional service that offers premier benefits—without the hassle and high costs. That’s what O’Brien’s Moving & Storage offers, and our movers in Levittown, PA have been providing top-quality moving services since 1928. As an Allied Van Lines agent, we are equipped to handle any size household move—wherever you need to go. With our comprehensive moving and storage services, our Levittown movers make it easy to get the seamless, stress-free relocation that you deserve. Ready to learn more about how O’Brien’s Moving & Storage can help you get settled into your picture-perfect new home? Call our Levittown moving company today, and we’d be happy to fill you in on all the details during a free quote and consultation!